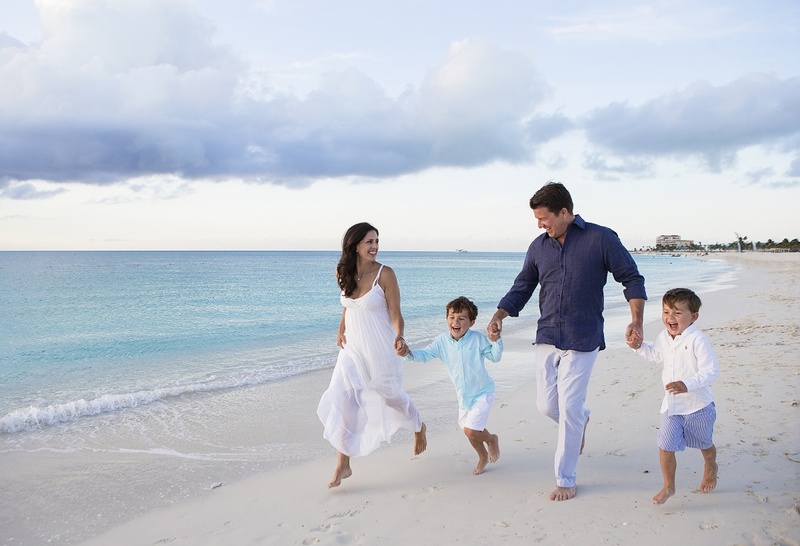 Most of our Turks and Caicos resorts tend to be very family friendly and make travelling with young children easy. 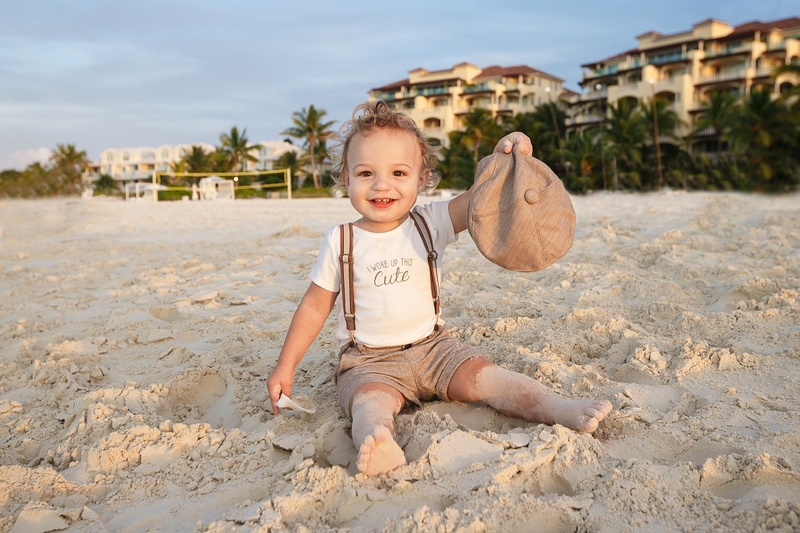 Whether you need a crib, high chair, or rollaway, most resorts in Turks and Caicos provide these items complimentary. Car seats are also available through car rental companies. Many resorts on Providenciales feature full condo / suites with fully equipped kitchens (we’re talking fridge, stove, dishwasher, pots, pans, cutlery and dishes). This allows families to keep costs under control while on vacation by cooking some of their meals. 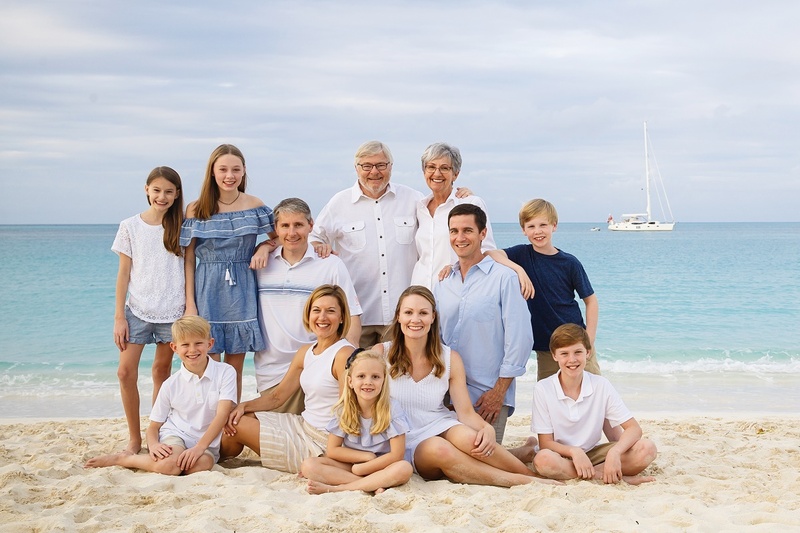 Graceway IGA is located approximately a 15 minute drive from the main Grace Bay area in central Providenciales. Graceway Gourmet is another supermarket located right in the heart of the downtown Grace Bay area. Both of these grocery stores are well stocked with many items you would find at home. While Graceway Gourmet stocks an assortment of gluten free products as well, if there is something very specific you are interested in, it may be wise to bring it along since products change frequently in the stores. 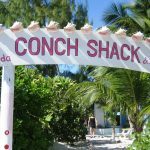 Kid-Friendly Restaurants in Turks and Caicos? Most definitely. 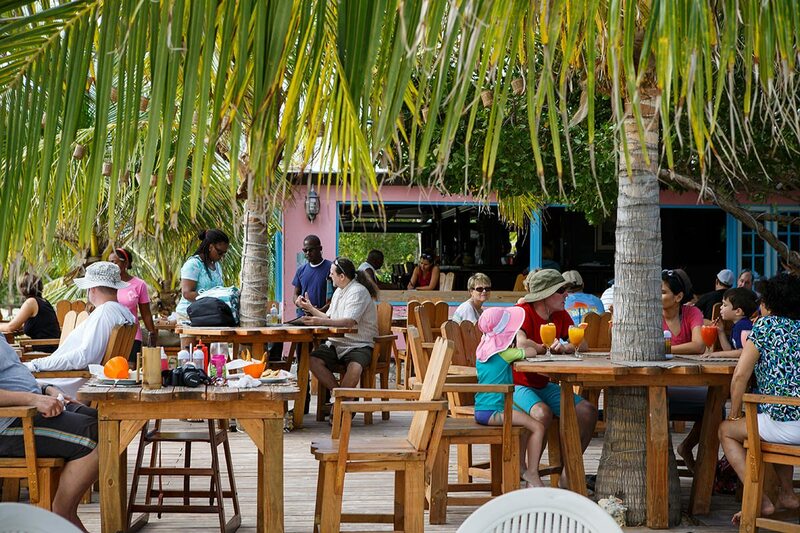 There are many child friendly restaurants in Turks and Caicos. Seven Stars Resort, Mango Reef and Hemmingways all offer kid favorites such as Grilled Cheese, Pasta, Mini Pizzas for a reasonable price. 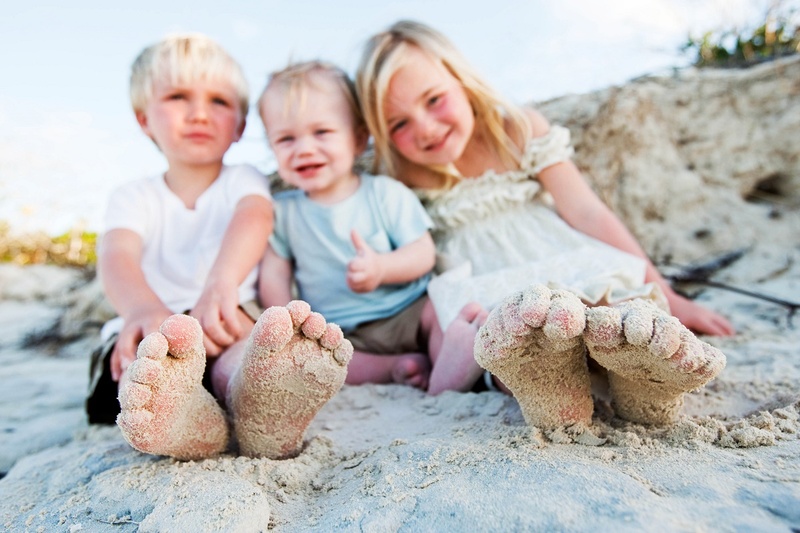 Kids also love heading to da Conch Shack and Bugaloo’s which are true island restaurants with delicious local island bites, mom and dad sip on a cold beverage while the little ones plan in the surf and watch the guys knock the conch meat out of their shells to get ready for the kitchen. Here’s a list of all of our recommended restaurants to consider. 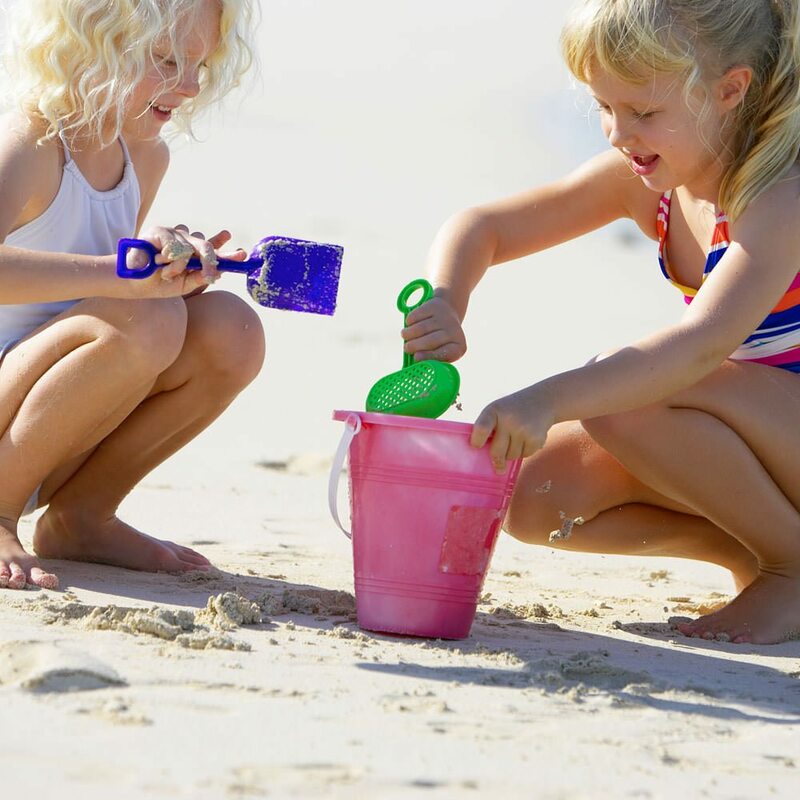 There’s no shortage of ways to entertain the kids and the entire family – even if all you want to do is just hang out on the beach and look for that perfect shell to bring home. Most resorts offer a variety of kids activities such as watersports and beach toys, shallow water pools, games, movies, bikes. While you may want to hit the beach as soon as you arrive, your little one may prefer the pool. There are a few properties that stand out to have very children friendly swimming pools. Villa Del Mar has a pool that gradually slopes towards the deeper water offering a large area of shallow water for pre-swimmers to play in. West Bay Club has a shallow section of their pool as well which is ideal even for toddlers! 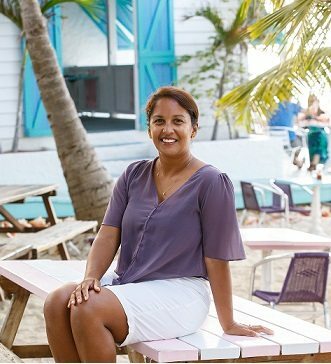 Tip: If there’s a need for Babysitters and/or Nanny Services, they can typically be arranged at the front desk of the resorts and villas when you get to the island, but we also have we have also a group of fully-trained, loving and professional nannies available for families. 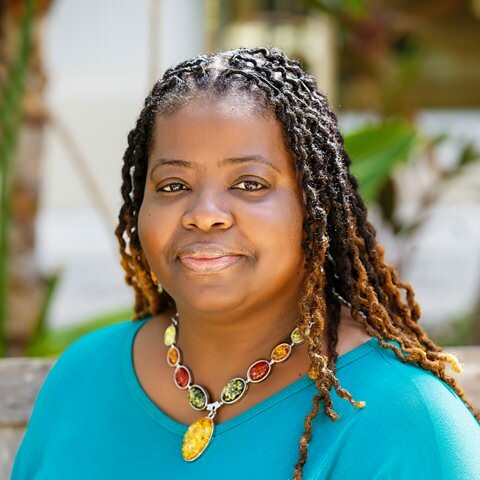 Nannies have years of experience as teachers, mothers, child care providers, or camp counselors and most have degrees in early childhood education. All nannies have been hand-selected and have successfully completed customized training courses that teaches first aid and CPR specific to children and infants, Nannies come equipped to play and entertain the kids and are familiar with all of our partnered hotels and private villas. 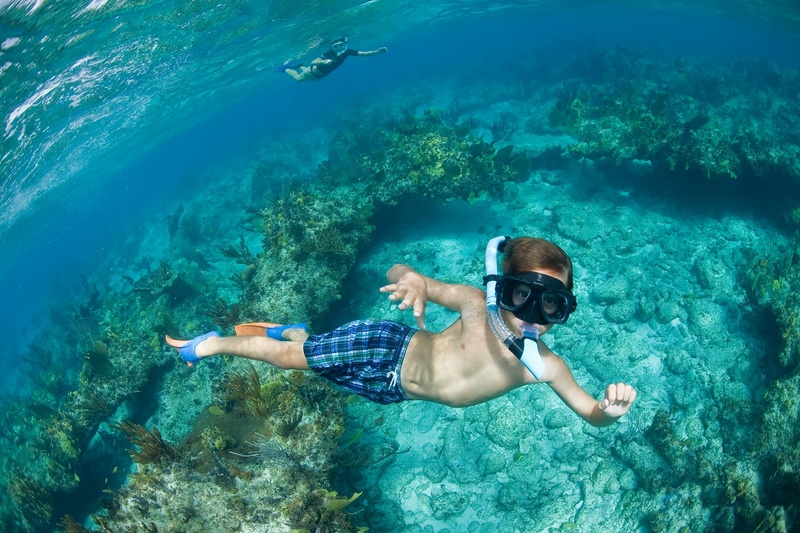 Many resorts in Turks and Caicos offer kids clubs including Seven Stars, Grace Bay Club , Palms Turks & Caicos , and Como Parrot Cay to name a few. These resorts offer structured Kids Clubs with a slew of activities for your kids both indoors and outdoors. They have a dedicated area for the Kids Club with an area for indoor play including games and toys for all ages, as well as the ability to offer movies or enjoy video games if a bit of downtime is needed. 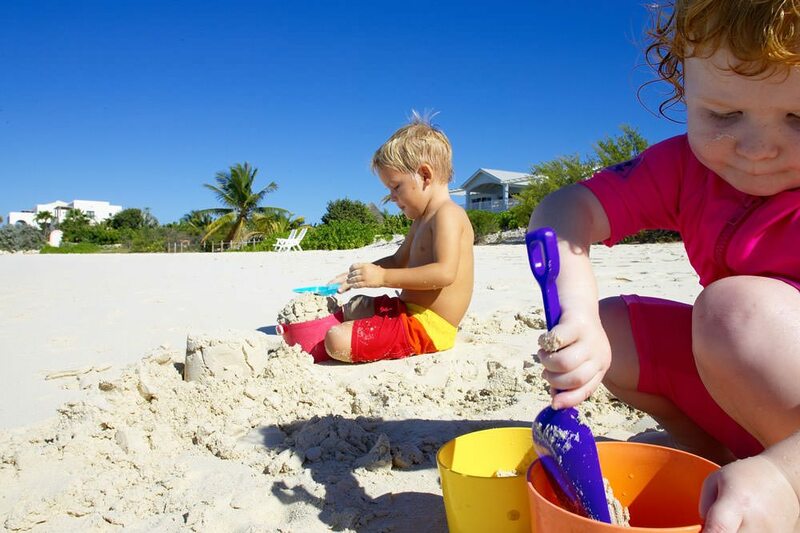 As for outdoor activities, the options are endless, from sand castle building, to searching for seashells. If staying in a villa, most do not have organized activities for kids, unless staying at a villa which is attached to a resort such as The Shore Club Villas. For other villas that don’t offer these activities, an organized Kids Camp can be arranged for either a few or all of the days of your stay. Equipped with lifeguards, camp counselors, swim instructors, dive instructors, boat captains and more, it’s all about creative fun and adventure. 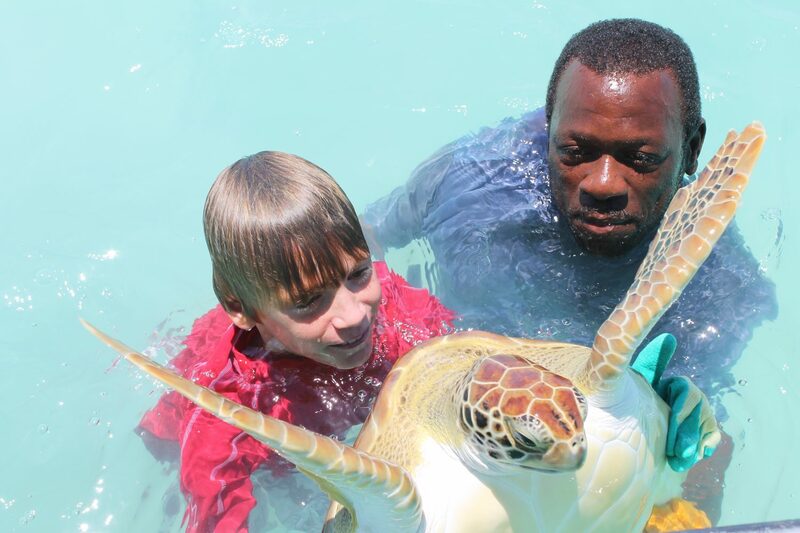 SEA Camp – For kids 9-15, consider a number of exciting “Teen X-Treme” excursions and eco-based adventures. Program outlines are ever-changing, always evolving, and busiest over the summer and school holidays. Daily and weekly rates are available but you must register in advance to confirm a space as the camps have very limited spacing due to their popularity. As you can see, this is fun stuff! And educational at the same time. The semi submarine experience is something every child would love. The adventure starts in the Turtle Cove Marina and then heads over to the Princess Alexandra National Park to see massive and magnificent coral reefs. 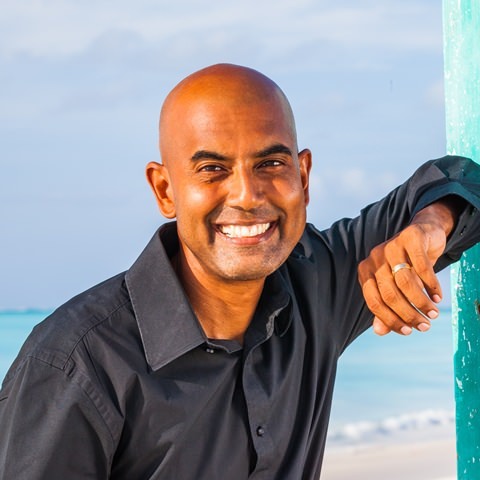 Your guide will point out types of fishes and lots of turtles and other sea creatures and you’ll be entertained with trivia and a fun and quirky lesson on Turks and Caicos marine life. 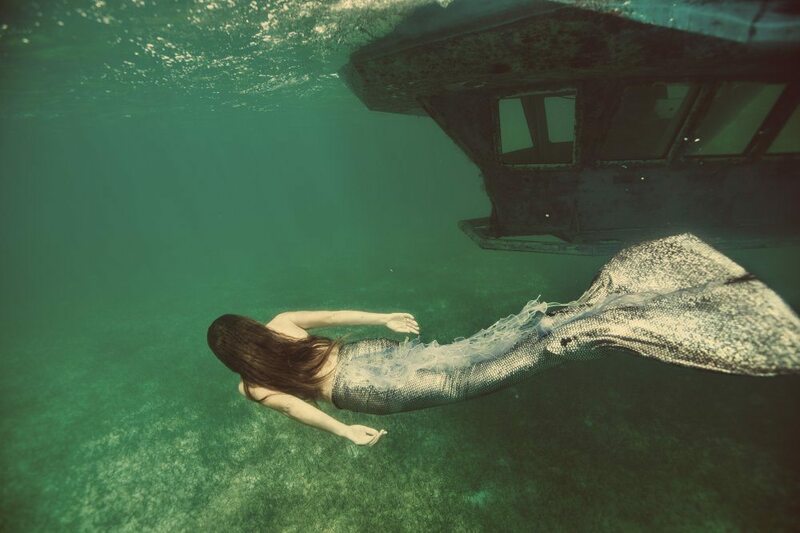 Watch out for the Mermaids! 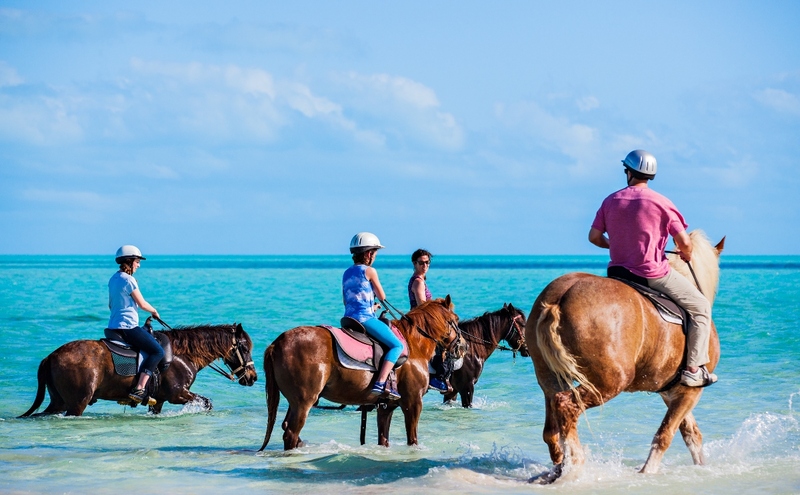 Horseback riding through clear turquoise water, really can be an exhilarating experience and perfect for families with children. Whether the riders are beginners or experienced they will enjoy a beachside ride on the beautiful Long Bay beach. Reserve this in advance as spaces usually fill quickly! Puppies and paradise… the combination is almost too much. This is absolutely one of the most interesting experiences that a pet-friendly family can have. Right in the heart of the downtown Grace Bay area, families can visit the puppies, take one out to the beach for a few hours, and even sign up to foster and take one home. Read more about Potcake Place here. Half Day Cruise out on the water, park at a deserted beach and let them run wild! 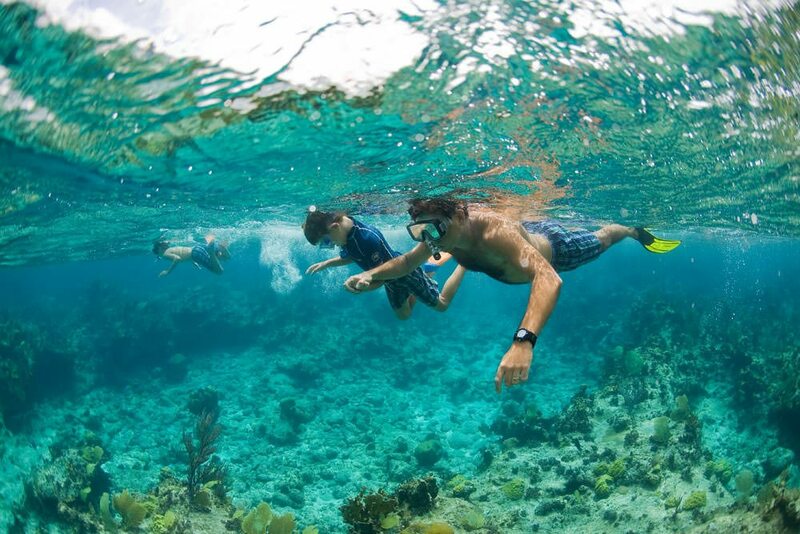 The entire family will enjoy a half day on the water snorkeling, stopping off at small cays to search for sea shells and sand dollars and beach combing. 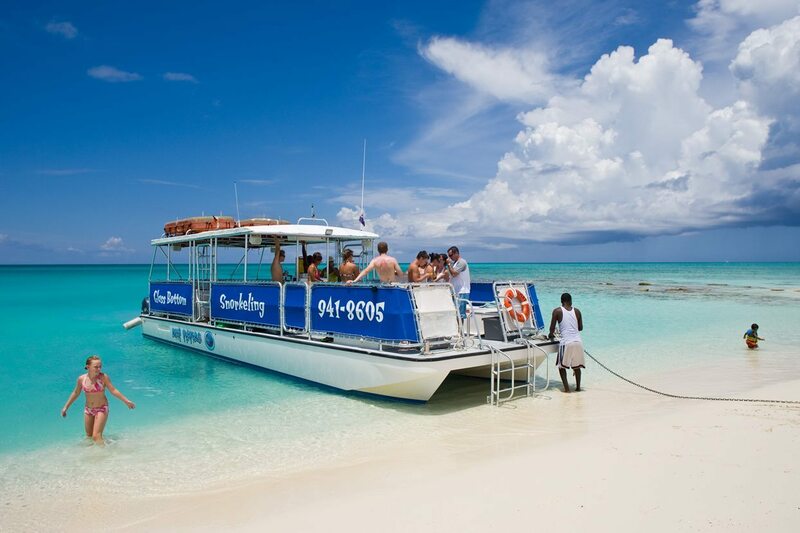 Some excursions take you to Iguana Island which is an island sanctuary for the endangered Rock Iguana or take you to a shallow spot to find conch and prepare conch salad on board. If you’re lucky you may spot dolphins in the clear waters. 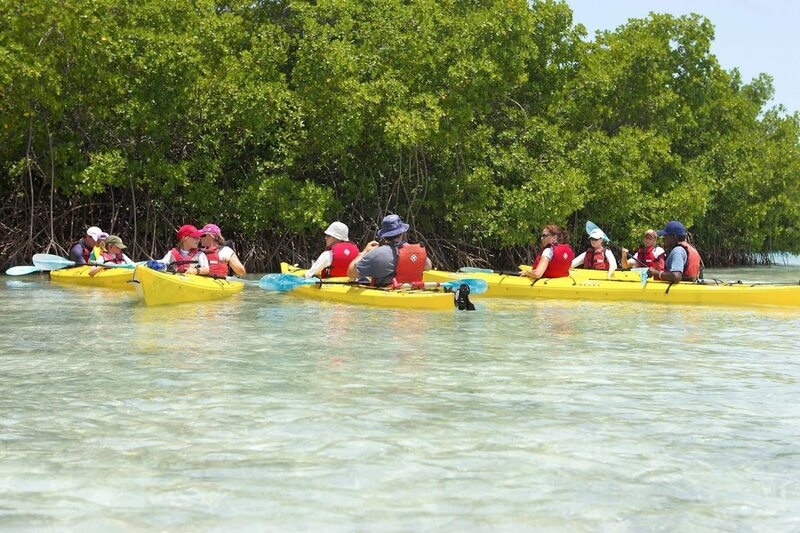 A fishing trip or an eco-kayak excursion is also a way for the family to bond and spend quality time together on the water. A family photo-shoot should definitely be on your things to do list too. When you arrive, it won’t be long before you’re in awe of the natural beauty of the place. There’s so many beautiful locations that will provide you with the perfect souvenir to take home (Idea: a unique luxury hand made coffee table album or maybe some large metal prints). A photo session on location at the amazing turquoise waters of the world’s best beach in truly the ultimate gift for you and your family that will last long after the vacation is over. Photo shoots are also easy and fun, they can last for just an hour at your resort’s beachfront area, or you can opt to go around the islands on a sight seeing tour (being photographed in different spots), or even go out on a private boat. Consider booking your session with the most awarded photographers in the destination, Brilliant Studios, to capture it all. 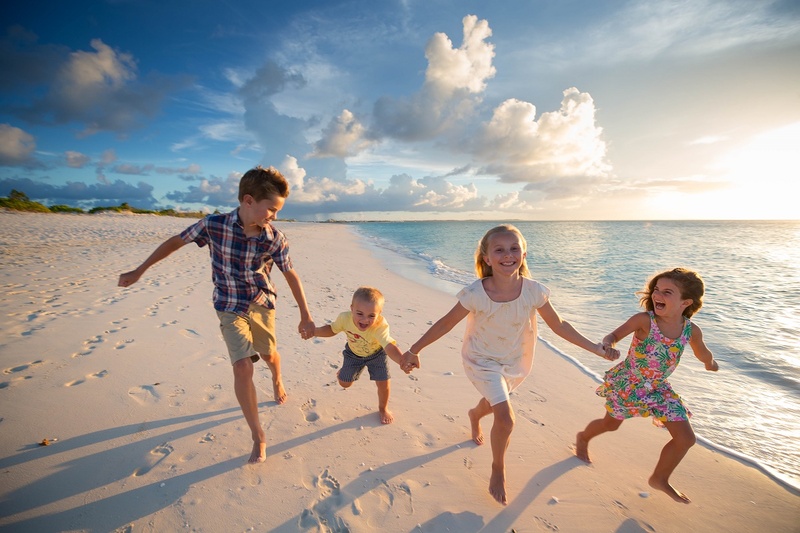 Call, chat or email with one of our travel designers for more information on these and other options for family friendly fun in Turks & Caicos!